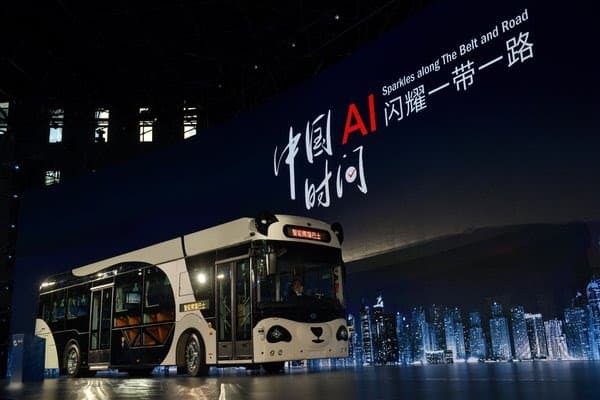 Shanghai-based artificial intelligence (AI) maker DeepBlue Technology has showcased an AI-driving bus at the recent New Generation Artificial Intelligence Future Development Summit in Shanghai. The Smart Panda Bus, which is a multi-functional AI-based autonomous vehicle that incorporates eight different core technologies from DeepBlue, will be made available in Asia and Europe this year, according to company officials. Some of its features include AutoPilot, Finger Vein Recognition, Voice Interaction, Precise Advertising Push, Vehicle Monitoring Robot, Intelligent Unmanned Retail System, Abnormal Behavior Monitoring System and Intelligent Escape Emergency Handling System. The company disclosed in a news release that countries such as Germany, Luxembourg, Italy and Greece have shown great interest in the product. Meanwhile, city officials in Bangkok has already approved the BRT, another autonomous driving vehicle of DeepBlue Technology, to start trials around the middle of this year. Founded in 2014, DeepBlue has dedicated its efforts in fundamental research and practical development of AI and has established regional headquarters, branch research and development institutions or international sales networks in Asia, Europe, America, Oceania and Africa. According to information from Crunchbase, the AI maker has received a total funding of $94.8 million from five investors in three rounds since February 5, 2018.